In 17th century Japan, Christians are hunted down and persecuted unless they renounce their faith. 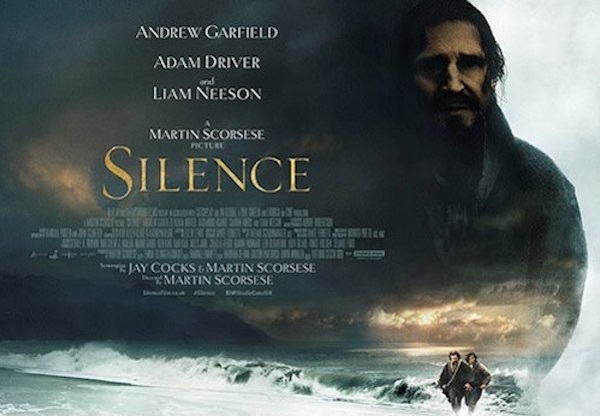 Despite this grave danger, two Portuguese Jesuit missionaries (Driver and Garfield) travel to Japan to search for their missing colleague (Neeson). 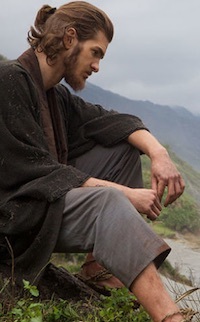 Depicting the harrowing trials that they witness and experience, “Silence” raises questions of faith, doubt and morality with “passionate ferocity” (Financial Times). It is a film that has been a long time in the making, an interview with the director in The New York Times indicating that Scorsese first read Shusake Endo’s (1966) novel in 1989, at a time when his “The Last Temptation of Christ” had been vilified by some reviewers. – click on the time to make a booking. Cookie Error? See here…….